Ruhamah Beauty | Writing about Natural and Organic skincare, Beauty, Everyday Life, and all things Beautiful. Writing about Natural and Organic skincare, Beauty, Everyday Life, and all things Beautiful. This is an Interesting read, i hope you enjoy as i’ll be trying the recipe myself. its the second half if the year already, and some great things are happening. 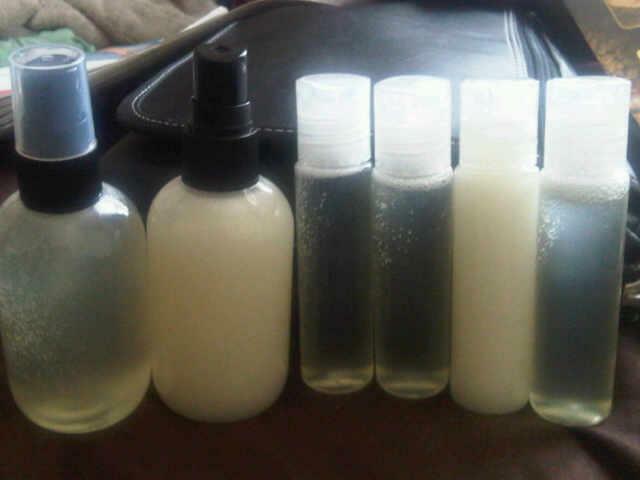 Its been a while i posted here, reason is that i have been nurturing my new found passion- Making Natural Cosmetics. When it comes to the area of my skin, hair and face, i am very particular about what i use, the product, the make, and what the product is made of. My hair has been free from relaxer for over 2years, which in other word mean i now have natural hair. I did not mean to transition to natural hair but then i realised that i used super hair relaxer on my hair just because i wanted my hair permed and straight to its best. What i did not realise is that this has damaged my hair and stoppeed it growing healthy. I realised that my hair was indeed soft, and even if i wanted to perm it/straighten with relaxer, i should have used the one for kids or the regular one. Now my hair is fuller, thicker and longer, for the first time since 2000 when i started growing my hair! imagine 12 good years (covering my face). I wanted to protect this new found growth of mine with all caution, so i decided to look for products without chemicals that i can use on natural hair and what i found was amazing. There was a whole world of Naturalists (women with natural hair ) and i was excited to find that people still rocked their natural locks without care of straightening it for easy combing or braiding. Then i said to myself, there must be a way to use non chemical creams for my skin too because i have a very sensitive skin on my face. In summary, i researched, found and have attended a course on making cosmetics without chemicals. i have attached some pictures of my own products that i learnt at the course and made myself at home, in my own kitchen. 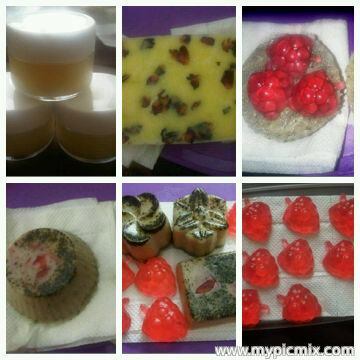 Strawberry lip balm, Plum Soap, Strawberry Soap, Green Tea Soap- free from sls/sles, paraben. handmade with love. More to come from me, and i shall be posting them. I will be putting up some simple facials and spa products you can make from the comfort of your home, tailored to meet your skin needs, hair products too.